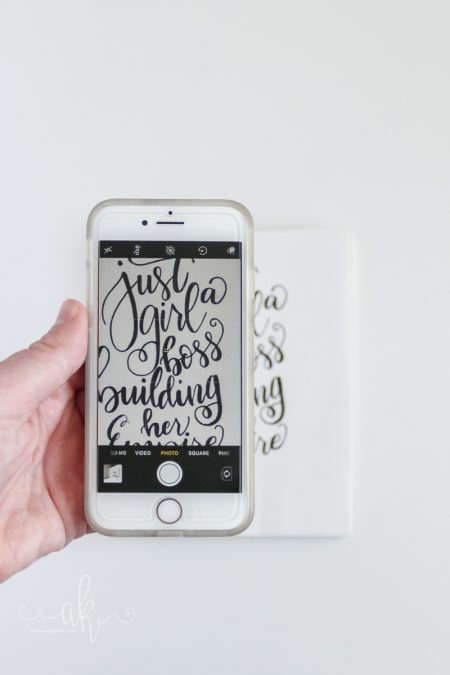 Add some personality to your planner or bullet journal with fun hand lettered titles! 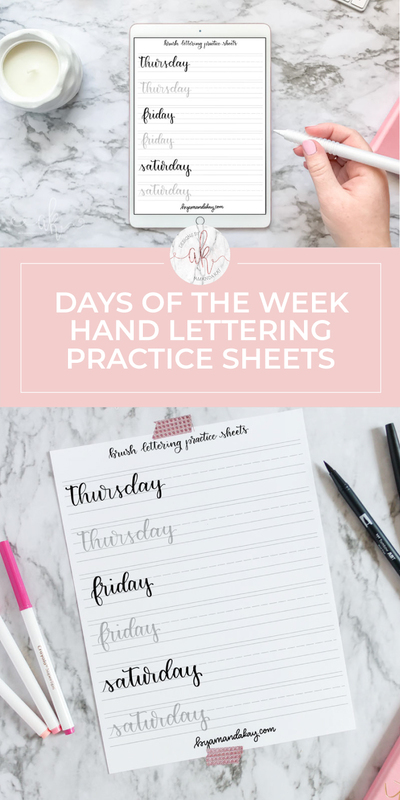 Grab your free days of the week brush lettering practice sheets to learn! 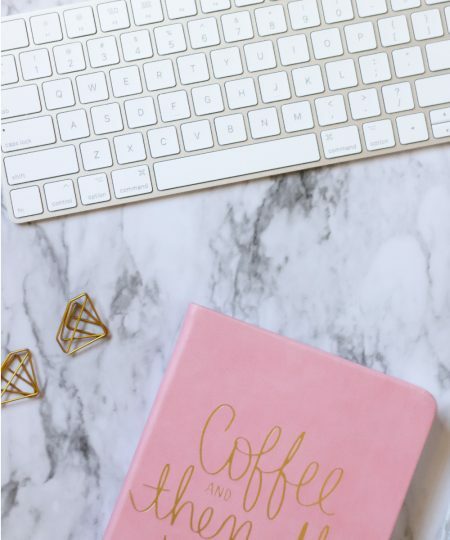 It’s the first Friday of a new month, so of course that means a new freebie just for you! 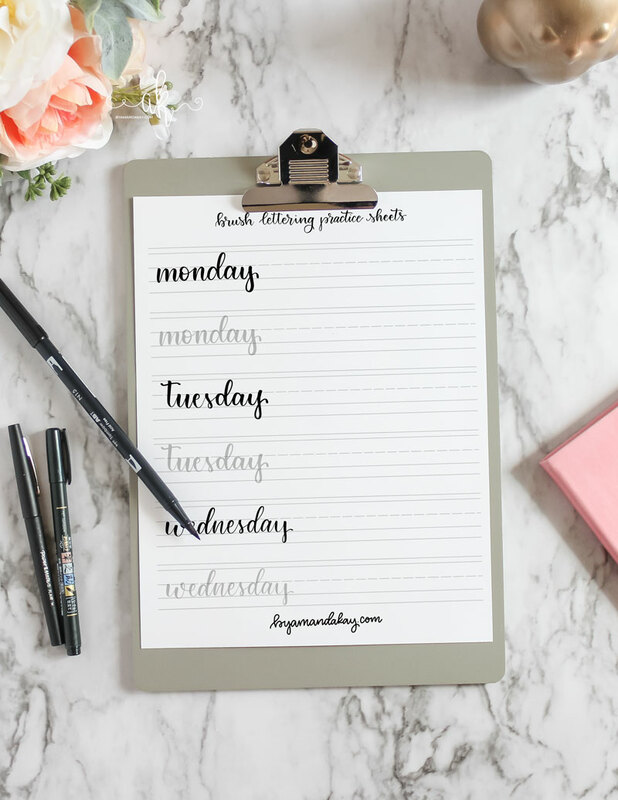 This month is this free days of the week brush lettering practice sheet to help you learn simple every day words. 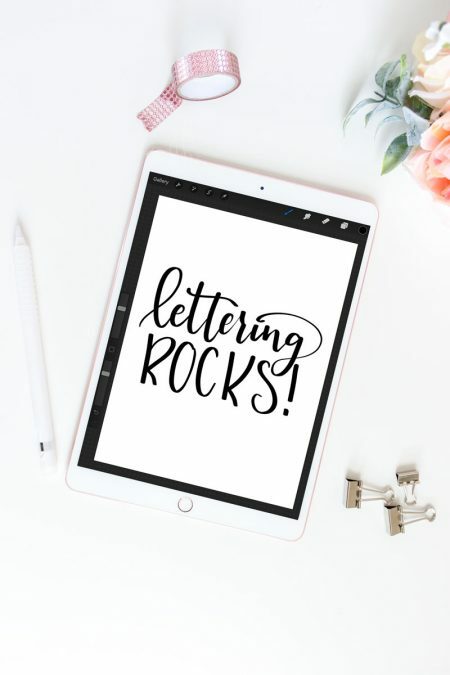 Plus, you can use them to add a bit of personality and flourish to your bullet journals or planners! 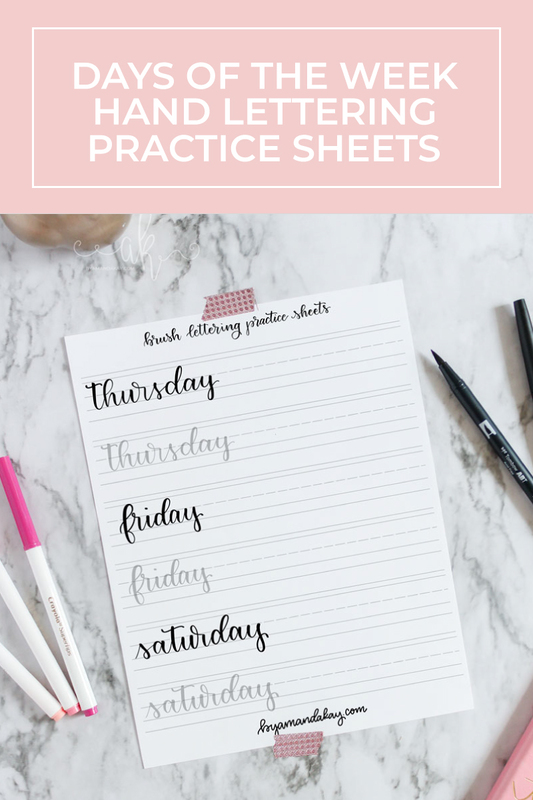 With any of my free practice sheets, I recommend printing them on a very smooth printer paper like this one. 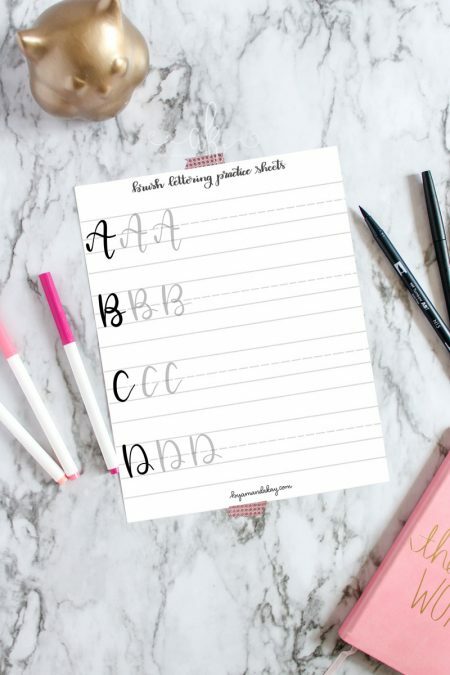 These days of the week practice sheets are great to use with a small tip brush pen, like the tombow fudenosuke (which is available in colors now!) I always recommend this brush for beginners because it’s pretty easy to control. I personally like the stiffer tip, but the soft tip is great too! 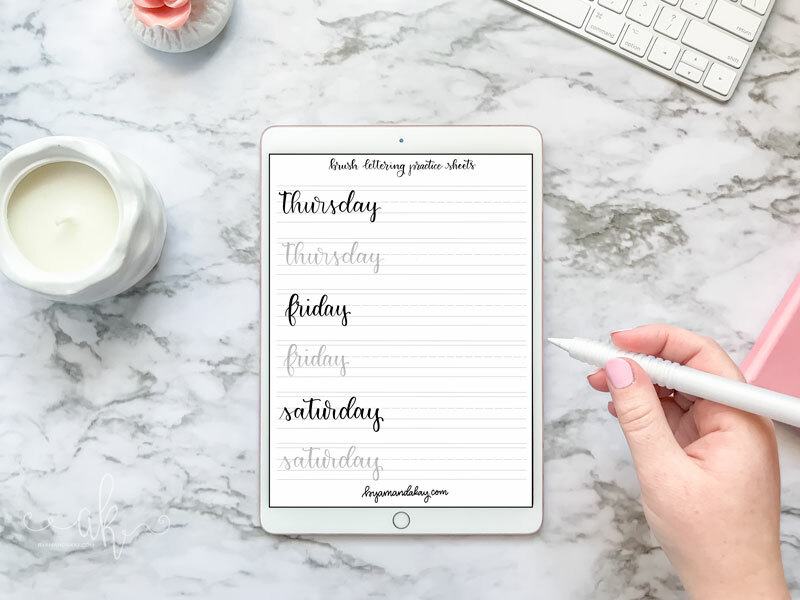 You can use these practice sheets on your iPad with the Procreate app too if you’d prefer to get more practice in that way. Download each image to your iPad (or take a screen shot on your iPad) and open them up in a new document within Procreate. 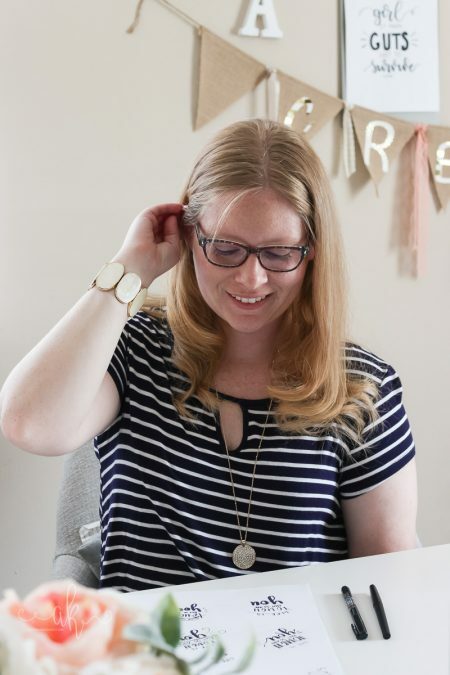 From there, reduce the opacity of the practice sheet image and add a new layer on top! Then you can practice as much as you want! 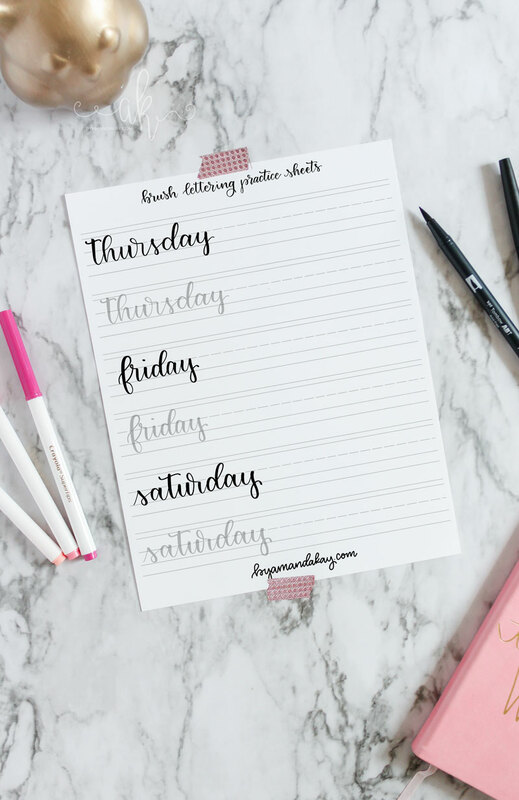 With any of the freebies here on the blog, these days of the week brush lettering practice sheets are for personal use only. Please do not redistribute, sell or reproduce in any manner. For more on my policies, read more here.